Carrie Fell has been selected to be the 2017 recipient of the Invisible Disabilities Association’s Volunteer Award. 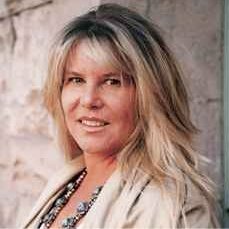 Carrie has been chosen based upon her passionate volunteerism with multiple charities serving people living daily with illness and disability. Carrie’s passion and support through both her time and talent has had a positive impact on so many organizations and the people they touch. Here are just a few of those organizations: Cancer League of Colorado, Cystic Fibrosis, Roundup River Ranch, Can Do Multiple Sclerosis, formerly The Heuga Center for Multiple Sclerosis, the Children’s Hospital Colorado and the Invisible Disabilities Association. 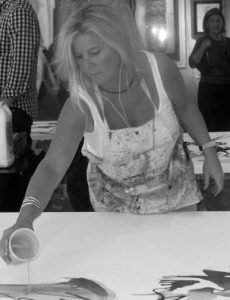 Throughout her twenty-year career, Carrie has exhibited her work nationally through numerous well-respected fine art galleries achieving both private and corporate collector recognition. In 2011, Carrie opened her own gallery to expand upon her experience, repertoire and her brand. Carrie is active and generous with both her donations and time serving numerous charitable organizations. In 1996, she established Significance of Self, a creative residency program designed to integrate charity performance and promote young people in their expression through art. 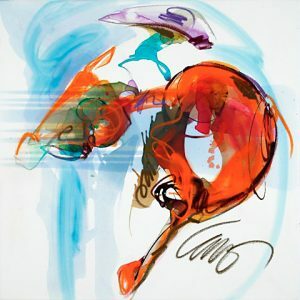 A native of Denver, Carrie began her professional career as an artist in 1985. She studied interior design in college; remnants of the drawing style of design work are intrinsic to her art. Her use of color, line and negative space also reflect her early training. Carrie works in a variety of media: paintings, limited-edition prints and, most recently, sculpture. Carrie’s art hangs in the collections of individuals, corporations and institutions throughout North America and abroad. She exhibits year-round in numerous galleries and museums. In 2007, the Booth Western Art Museum in Cartersville, Georgia acquired her painting, “Crazy Mountain Saddle Slickers” for their permanent collection. In 2010, her original, “Rusty and Calamity” was acquired by the Desert Caballeros Western Museum in Wickenburg as part of their permanent collection. For the 2015 FIS Downhill Alpine World Ski Championships Carrie was selected as the Official Artist to create a collection of colorful, bold skier images which were displayed and utilized to market the entire event and resulted in a monumental installation at the base of Beaver Creek, CO. Carrie’s works are on display in her Gallery in Centennial, in the collections of individuals, corporations and institutions throughout North America and abroad including Shanahan’s Steakhouse in Denver and in Parker at the Colorado Golf Club.